A sleepy Monday over here, my friends! Every so often I battle insomnia and last night happened to be one of those nights. I am literally running on fumes today as I got less than 2 hours sleep last night...not a good way to start the week! This weekend Anna, my best friend from UVA, came into town. She is getting married in September and was in town from New York City to attend to wedding tasks, but she set aside some time for me on Friday night. Prior to her moving up north, we saw each other every few months, and now we're lucky to get in one or maybe two good, long visits a year. That being said, time with her is cherished! I picked her up from the airport on Friday night and we headed to a local favorite, Stella's. We were the last ones to leave the restaurant and then made our way to her brother's where she was staying. We opened a bottle of wine and parked ourselves on his porch swing, talking into the wee hours of the night. I came home so happy and relaxed from my visit with her. During our conversation, she gave me the task of helping her to find a rehearsal dinner dress. I've never been known to turn down shopping and got right to it! 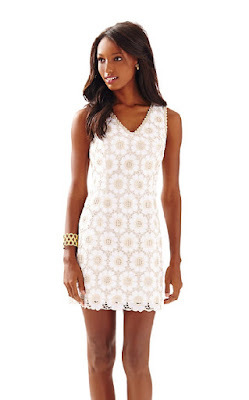 A little white dress is a staple in every Southern lady's closet. And regardless of whether you're a bride or not, it's so fun to pull out crisp, white dresses this time of year, so I decided to share my finds with you. Anna's rehearsal dinner will be at a rustic location on the Eastern Shore of Virginia. She is giving her fiance, Charlie, the reins in terms of choosing a menu for the night. It's looking like a good old fashioned Southern barbecue might be in the cards. That being said, I immediately knew an easy sundress would be in order for this laid back night. I love white dresses--they're so pretty! I just always have a hard time finding places to wear them since you definitely can't wear them to weddings or bridal showers! Love the first one the most out of this group! So glad that you had a great time with your friend--sorry about the insomnia though! I hope today is quick and easy for you! I had almost as fun shopping for my rehearsal little white dress as I did for my wedding dress... okay, more than almost ;) My SIL gets married this summer, so I can't wait to send her some of these. I especially love the first one! I love a white dress! I wouldn't mind adding a few of these to my closet! I feel you on the sleep - some nights I wake up in the middle of the night and just can't get back to sleep! (last night was one) but I love the double strap, off the shoulder and bow look! Love a good white dress ! 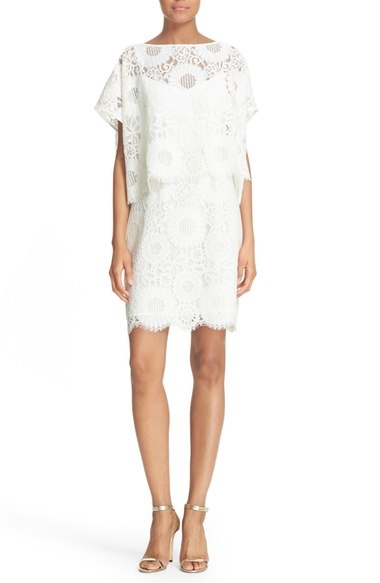 The Broderie Off the Shoulder Dress is my favorite ! Great pics! 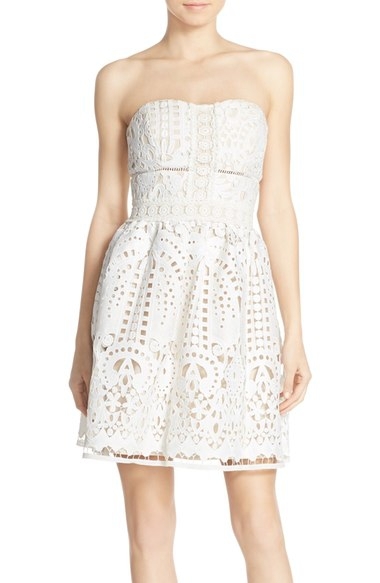 I can't to wear my find to my rehearsal dinner next week--it's a Resort 360 Lilly that I eBay'd at a steal!! I own about 100 little white dresses! 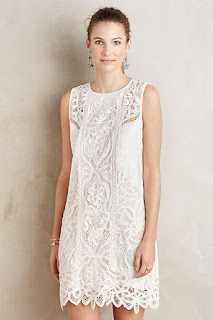 I actually realized it a couple years ago and have trained myself to stop and think when I start to buy another little white lacy dress--it happens all the time. These are gorgeous picks, though. So tempting! I love how easy and angelic they are and what a great palette they make for fun colorful accessories. Such great finds!!! I adore a little white dress and had already snagged that Asos of the shoulder one previously. 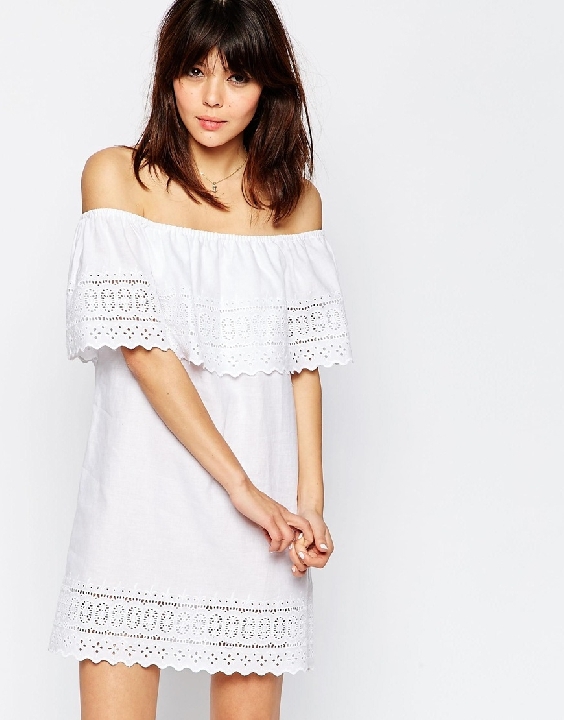 It definitely needs a slip underneath, but it is so cute and affordable! I love that you got such great girl time in, it is truly refreshing :). I really love the 3rd dress! I hope you're able to get caught up on your sleep. 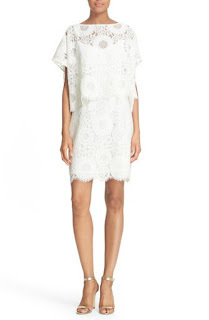 I swear every dress I want to buy is white, which does not work since most of your upcoming events are weddings!